With winter still hammering parts of the country, the mid-Atlantic states being plagued by ice dams, and people being interested in good home economics in today’s tough national economy, a lot of people are insulating their attics now. This is a great step, if done correctly. We think there are big advantages to using a well-trained professional to do the job properly. But some handy folks are inclined to handle it all their own—and that’s a reasonable approach. If you’re doing it yourself, however, it’s important to use the right details not just to save energy but also to stay safe! Do NOT just roll out batts of insulation in the attic. You need to air-seal first. The best resource guide for homeowners that I’ve come across is ENERGY STAR’s Do-It-Yourself Guide to ENERGY STAR Home Sealing. And do this safely. You don’t want to fall through ceiling. And improper installation causes problems, like moisture issues and fire risk. Be prepared to stay the course—this isn’t a fun job. It’s generally dirty, cramped, and uncomfortable—but you need to do it right if you want to see results. With some guidance from the ENERGY STAR guide, a friend and neighbor recently completed an insulation and air-sealing project. He’s very glad he did because he’s saving energy and his house is more comfortable. But he did say he’d never do it himself again. The hassle isn’t worth it and he’d rather hire someone. Check out his fun video on his DIY attic insulation project below. After you’re done, make sure a professional checks the safety of all combustion equipment—furnaces, boilers, water heaters, etc.—in your home. Do NOT just roll out batts of insulation in the attic. You’ll get very little benefit with fiberglass batts without rigorous attention to air-sealing. Think of wearing a lose sweater or fleece on a windy winter day. That fleece is a good insulating layer. But when the wind blows through it, the heat gets sucked right out. 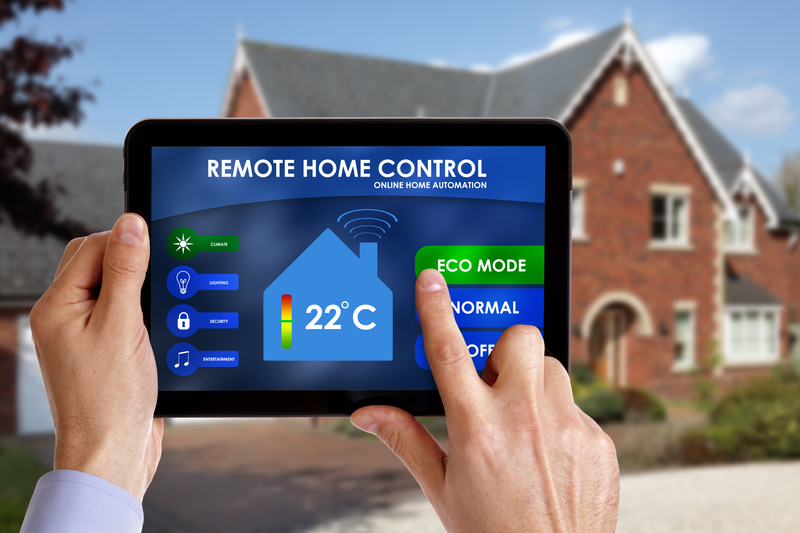 The same thing happens in your home as wind and the “stack effect” allow heat to escape through leaks in your home and blow right through the insulation. 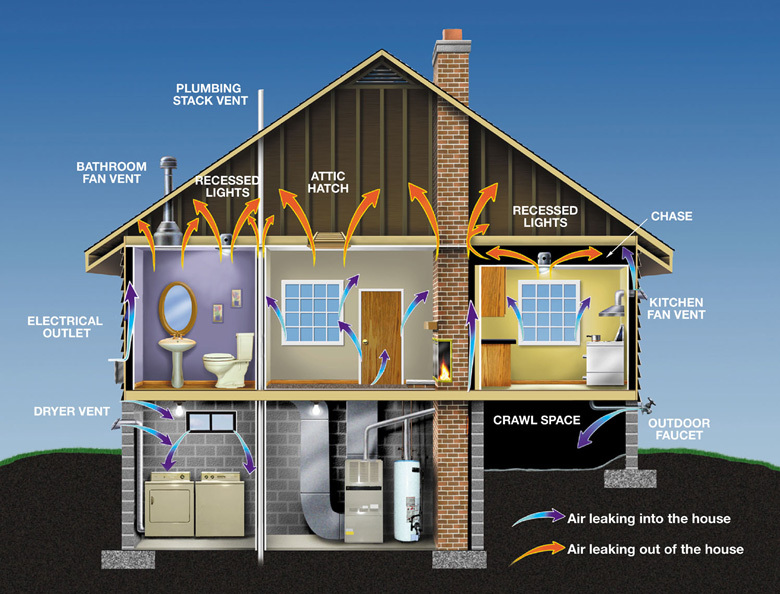 (The stack effect: warm air rises, and in the winter you whole house acts like a big chimney with the warm air rising out the top—unless you stop it) This is a reason why you’ll see stained, dirty insulation in the attic. It has essentially been filtering all of the air escaping your house–air that you paid to heat and cool and that you’re losing to outside. In fact, not adding insulation without air-sealing can lead to moisture and mold problems in the attic as the warm, moist air hits cold surfaces in the attic and the water condenses out just like it does on a glass of iced tea on a summer day. Over time, this can lead to structural failure and other issues! Thus, it’s important to air-seal the attic. This can be tricky as you need to use different materials and techniques depending on the type of holes and leaks. For example, you can’t use foam against chimneys and flue because of the fire risk. I can’t get in to all of the variations here. The best resource guide for homeowners that I’ve come across is ENERGY STAR’s Do-It-Yourself Guide to ENERGY STAR Home Sealing. Attics aren’t usually fun places, but you need to spend the time finding the holes and leaks. And be careful up there!. You don’t want to fall through the ceiling, you need to be on the lookout the electrical wiring, you need to watch out for protruding nails and screws, and you need to use the right techniques. After insulating and air-sealing, it is very important to make sure that your combustion equipment—furnaces, boilers, water heaters, etc.—are operating safely and venting properly. Most homeowner don’t have the equipment or skills to do this, so I won’t describe it here. Your fuel company, a home performance specialist, or a good heating contractor should be able to do this for you. As I’ve mentioned previously, carbon monoxide is not something to take lightly. All-in-all, this job may be more than most people want to handle. If you hire someone to do this, make sure they are willing and able to do it right, with proper air-sealing and combustion safety testing. If the contractor you’re talking to balks or doesn’t understand, walk away and find a contractor who can deliver what you need.